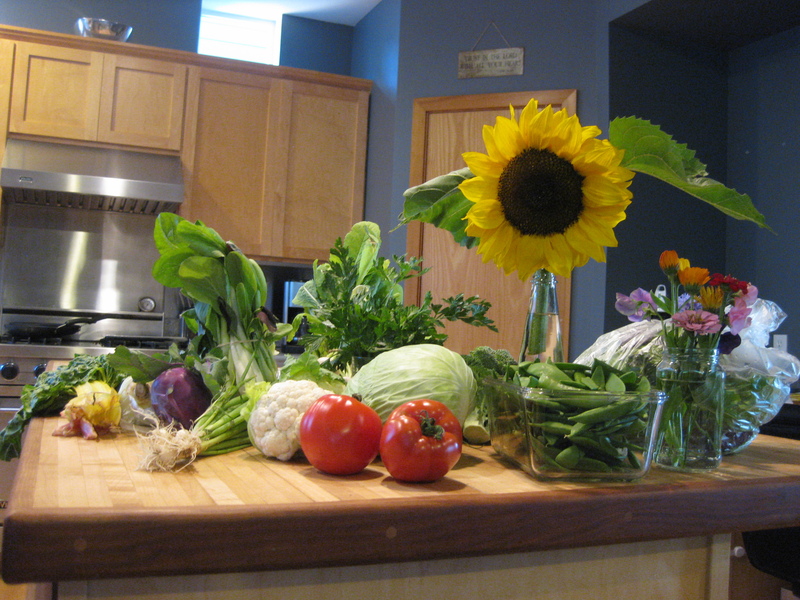 Our lovely produce for this week at our local CSA (community supported agriculture). Now… to come up with a meal plan! A stir fry is definitely called for with the bok choy and snow peas. Green onion dip for carrots and snap peas, and cole slaw. I’ll also roast some turnips, but I haven’t yet come up with a good idea for the kohlrabi.